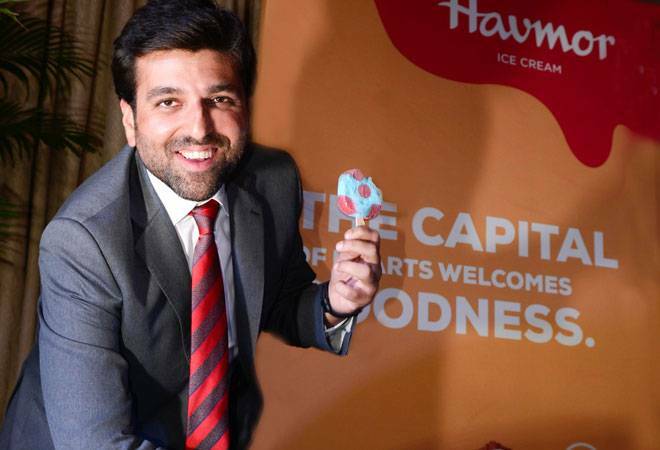 As a part of expansion strategy, Gujarat-based milk ice cream brand Havmor will open 10 exclusive ice cream parlours in New Delhi by June 2016 and another 25 by the end of the year, informed Ankit Chona, Managing Director, Havmor Ice Cream. Apart from this, the brand will also invest Rs 100 crore over the next three years to set up its manufacturing facility at Faridabad with a production capacity of 100,000 litres of ice cream per day. The first phase of the factory is aimed to be completed by early December 2016, which will be used for production and distribution across the northern market. With the new facility - along with its two existing plants in Gujarat - the company's production capacity will reach 350,000 litres of ice cream per day. Delhi is Havmor's eighth market in India, said Pradeep Chona, CMD, Havmor Ice Cream. It already has over 30,000 retail outlets in Maharashtra, Rajasthan, Madhya Pradesh, Goa and Telangana. The company currently offers 160+ flavours of ice cream across mass market and premium ranges. Some of the interesting flavours that are innovations from its R&D unit are the saffron pine nut, whisky-flavoured and the Chotta Bheem range of ice creams, said Ankit Chona. The total industry is expected to grow to Rs 7,000 crore by 2018, said Ankit Chona, which also includes the frozen dessert segment. The company's offerings are in the form of cones, 98 per cent fat free, 100 per cent sugar free, ice cream cakes, ice cream sandwich and many others in the price range of Rs 10 to Rs 350. Incorporated in 1944, the company says it did sales of Rs 450 crore in the previous fiscal and aims to increase the turnover to Rs 1,000 crore by 2020. Twenty per cent of the company's sales comes from exclusive retail outlets and the rest from general trade stores, informed Ankit Chona.